Whisper its name: Lamborghini SUV. The words glitter as they roll off the tongue. They sound like money. They send a shiver of delight down the spine of every well-heeled extrovert, every rich kid on foreign exchange. The Lamborghini SUV is an idea so juicy, so delicious and so obviously profitable – like Beyoncé at Coachella or a Han Solo movie – it’s a wonder it hasn’t been done sooner. The Urus, as it will be known, represents a change in the scale of Lamborghini’s ambition. The company, which was born in 1963 out of a vendetta against Enzo Ferrari, is no longer content to crank out a few thousand supercars a year. The factory in Sant’Agata Bolognese in northern Italy has doubled in size to meet projected demand for the SUV. “It’s a point of no return,” said company chief executive Stefano Domenicali. He expects the SUV will roughly double company sales in 2019, to between 7,600 and 8,000 vehicles annually. Soon the Urus will spawn a hybrid variant; the traditional V-10 and V-12 supercars will remain un-turbocharged, but they will become plug-in hybrids, and a fourth Lamborghini model – a 2+2 grand tourer – could follow if all goes well, Domenicali said. Everything about the Urus is supersized. It’s more than five metres long. It has enormous 23-inch wheels, likely the biggest ever on a production car. It also has the biggest brakes: 10-piston calipers clamping down on 440-mm carbon-ceramic discs the size of beach balls. They’re standard equipment because you need brakes that big when you’ve got 2,197 kg of metal propelled by 650 horsepower. The price, too, is large: $232,000. But most customers will probably spend at least another $30,000 in optional extras. The Urus has 213 mm of ground clearance. 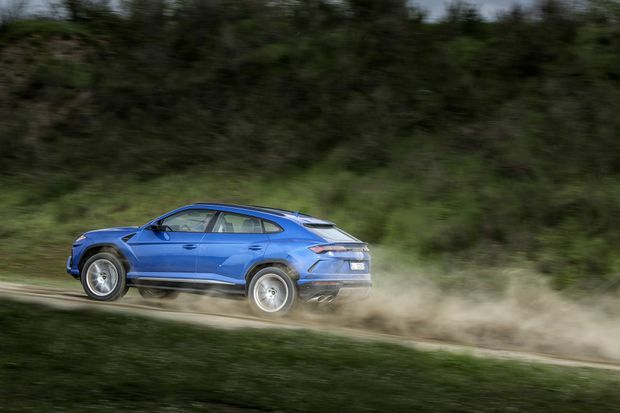 You wouldn’t dare drive any other Lamborghini on dirt, but the Urus holds its own for light off-road work. It won’t be able to go everywhere a Range Rover could, but on a soft dirt track with deep ruts, the Lambo bludgeoned its way around convincingly. It took the abuse in stride, pounding into ditches at high speed, nearly catching air over a crest, kicking up dirt in full-throttle power slides. If this were your own car, no doubt you’d treat it with more care. A lever on the dash – not unlike the throttle on a 747 jet – scrolls between driving modes, of which there are six. For off-road, we tried Sabbia (sand) and Terra (off road) modes. The air suspension raises the car, providing 213 mm of ground clearance. All-wheel-drive with a central Torsen differential and torque-vectoring system can send most of the engine’s considerable torque through a single wheel. A lever on the dash toggles between six driving modes. No expensive carbon-fibre bodywork was ripped off driving on dirt. No wheels were dented. It did not need to be towed. Any other Lamborghini would have been utterly ruined. “This is a different kind of Lamborghini for a different kind of customer,” Domenicali said. He repeated a similar line several times throughout the day. The days when making an SUV would be a controversial move for a company such as Lambo are long gone. Porsche, Alfa Romeo, Maserati and Bentley already make ’utes, and Rolls-Royce, Ferrari and Aston Martin all have theirs coming before the end of the decade. The Urus isn’t even Lamborghini’s first SUV; that honour belongs to the limited-edition LM002 (the “Rambo Lambo”) of 1986. Some 68 per cent of Urus customers are new to the brand. “It’s incredible; my guess was 50 [per cent]” he said. The Urus shares key pieces with Volkswagen Group stablemates. The MLB Evo architecture is also used on the Bentley Bentayga and Porsche Cayenne. The interior infotainment screens are borrowed from the Audi A8, albeit with a completely new graphic interface. 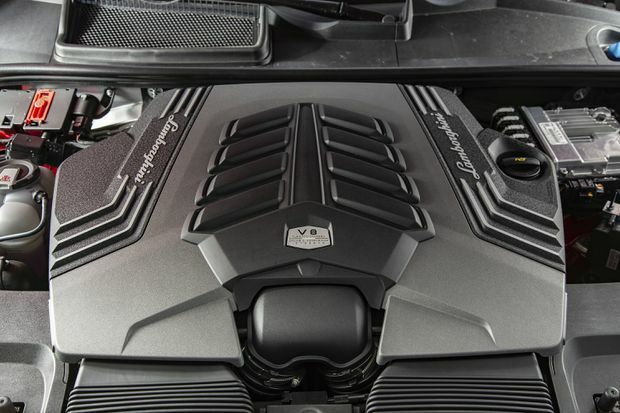 The basic engine block is a 4.0-litre twin-turbo V-8 sourced from Porsche, although Maurizio Reggiani, Lamborghini’s chief technical officer, said much development work was done in-house. The cylinder heads, cams, turbochargers, pistons, intake and exhaust are all new. The basic engine block is a twin-turbo V-8. Even though it still drinks plenty of high-octane fuel, the V-8 is significantly more efficient than Lambo’s V-10 and V-12 supercars. The Urus will lower the company’s average fuel economy. The Vallelunga racetrack on the outskirts of Rome is narrow, tight and technical. A bundle of clever technologies helps the big SUV feel smaller and lighter than it should. Rear-wheel steering, active anti-roll bars powered by a 48-volt system and air suspension all attempt to counteract the laws of physics. Together, they keep the Urus flat through corners, giving you confidence to push it faster. It fires itself out of corners like a cannonball, propelled by 627 lb-ft of torque from just 2,250 rpm. The eight-speed gearbox kicks like a mule on up-shifts in Corsa (race) mode. Zero to 100 km/h takes just 3.6 seconds. Here’s the inevitable caveat: It handles a racetrack exceptionally well – for an SUV. The steering feels a bit artificial and lacking feedback. Understeer is easy to come by. Long-time Lamborghini customers may be expecting the Urus to perform in some way like a supercar on the racetrack, but – with the exception of its raw speed – that’s not quite the case. Hence Domenicali’s insistence that this is a different kind of Lamborghini. However, on the road, where the Urus will no doubt spend the majority of its time, it’s genuinely comfortable in Strada (street) mode. Comfortable. That’s another first for Lamborghini. Any undue hardness can be quelled if you opt for smaller 21-inch wheels. There’s ample room for four or five passengers. You can fit two golf bags in the trunk. The engine isn’t even loud. The rear seats are especially spacious thanks to the huge three-metre wheelbase. Pirelli will sell you a set of winter tires developed specially for the Urus if you want to drive your Lambo all year. It’s well suited to the daily-commute or stop-start city driving. It’s objectively a Very Good Car, but maybe that’s the issue. While it looks every bit as wild as a Lamborghini ought to, it doesn’t quite drive like one unless you’re pushing it to the limit on a track. A bit more drama would be welcome, to make it feel like the lunatic Lambos we know and love. But then, that’s not really the point of the Urus. This is the Lamborghini SUV. It looks wild; it goes fast, and it has that raging-bull crest on the hood. 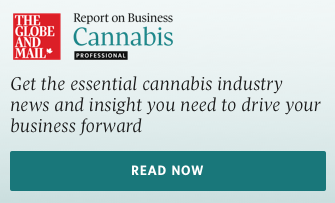 Those facts alone are almost enough to ensure its success and profitability. Given that 2018’s production run is already sold out and that it’s attracting new customers to the brand, the Urus is exactly what Lamborghini needed it to be. The Urus can fit up to five passengers.